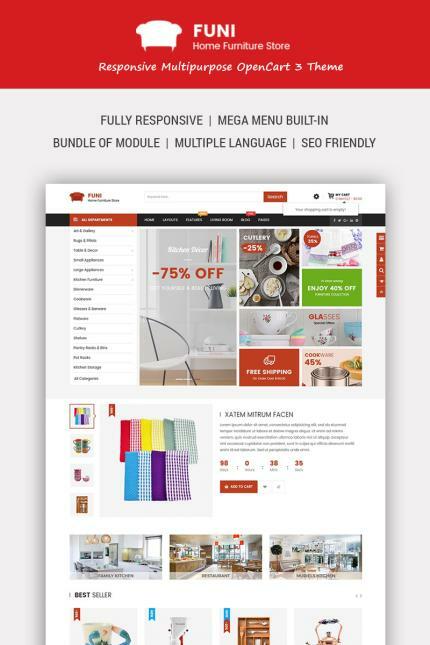 Come with a premium quality & advanced functionality, Funi OpenCart 3 theme is one of the best choice for decoration or interior stores. The Furniture eCommerce OpenCart theme, Funi supports a powerful mega menu that you can create an awesome menu for your site. Besides. with Visual Page Builder, you can easily and quickly build your own furniturle store. The convenient Social Login module built-in makes it more dynamic and flexible. It is highly customizable because everything can be changed and tweaked via simple powerful admin dashboard. Just by some clicks, you completely see this theme with powerful features as following!.